With 29 clean, high-performance ingredients, Mahalo Skincare’s Rare Indigo Balm boasts big moisture, mega healing and heavenly scents — all in just a 1/3 pea-size pinch. Second only to oils, balms are my go-to for healing dry, itchy, temperamental skin. 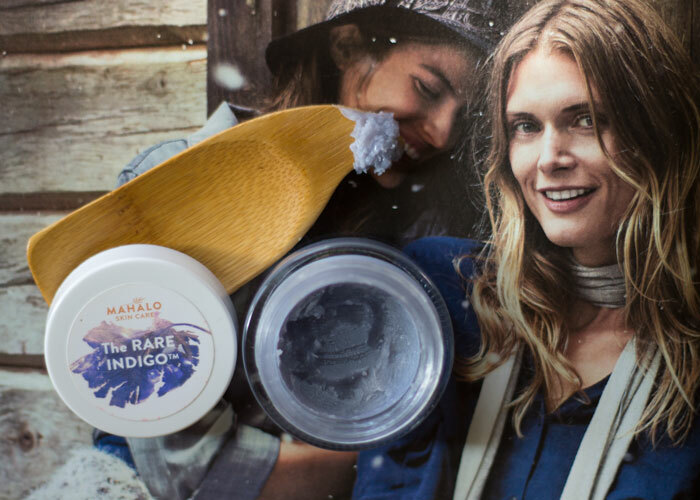 This winter, I’ve been cozying up with Mahalo’s Rare Indigo Balm for more than six weeks to experience its effects on my skin. The results have been nothing short of wonderful. Before I apply this dense balm, I like to quickly warm it in my palms and cup my face, taking a big inhale before pressing it into my skin. (Do not over-apply! You seriously just need 1/3 pea size.) It’s a lovely evening routine that gets me into a state of relaxation and ready for dreamland — and my skin ready for restoration. While Mahalo says you can use it both morning and night, I tend to use it most often at night because of how emollient it is. It takes a lot for a heavy-handed, non-morning person like me to exhibit restraint in the wee hours of 8 a.m. when I’m getting ready for the day. The first bullet was a simple truth in my testing. This blue balm, with its dreamy consistency, got it right time and time again. Think soft, creamy, melt-into-your-skin goodness that will turn any oil addict’s head at first application. Moisture achieved. In combination with other preventative skincare, my skin inflammation and acne seemed to remain at a low while using this balm. I won’t say that the balm combated my symptoms completely on its own, but it didn’t irritate at all. 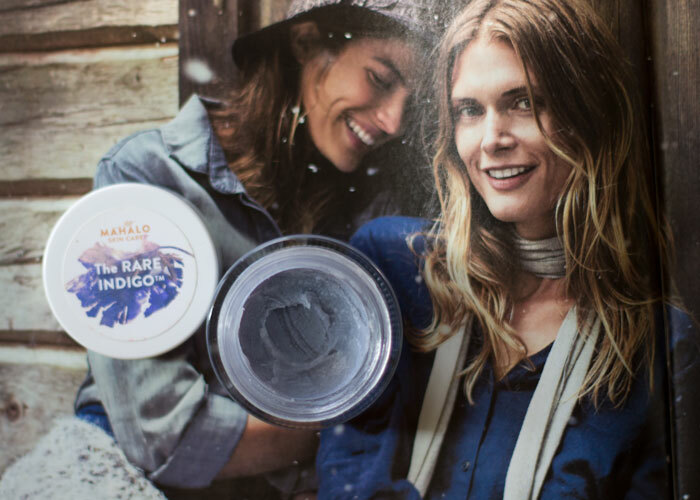 This claim definitely goes hand-in-hand with the idea of promoting natural healing abilities (hi, acne and patchy dryness), which is a win for The Rare Indigo Balm. We’ll have to see about things like long-term skin health and wrinkles, but I can say that The Rare Indigo Balm, used nightly, helped me wake up to softer, more radiant skin that I almost didn’t want to wash or rinse during my normal morning activities. Now, to scent. Probably one of the most important attributes when it comes to actually using a wonderfully crafted product. The Rare Indigo Balm smells like nothing I’ve ever smelled before. In the green beauty world, “herbal” is the typical description. There’s something different about Mahalo’s balm. It’s not too sweet. It’s not too herbal. I can pick up a bit of lavender, but it’s not the typical soothing lavender scent. A few florals and hint of vanilla poke through, but there’s not one dominating note in this balm. I can almost get something new with every smell — and that’s the fun part about using it! It’s quite mysterious, honestly. A mysterious, subtly sweet, spiked herbal concoction that soothes and softens the skin. Though I don’t know if many of you can convince the men in your life to try a balm, if you can, this is one that may actually get some love. I’ve applied The Rare Indigo Balm onto my beau’s face several times (making him do the deep inhales and everything) and have, on more than one occasion, caught a whiff of his skin and said aloud YOU SMELL GOOD. Oh yeah, that’s The Rare Indigo. Whoa. My only critique of the ingredients listing is the inclusion of the proprietary blend of organic herbs. I want to know what’s in it — both for my nose’s curiosity and for the purpose of avoiding potential allergens. Beyond that minor callout, Mahalo’s Rare Indigo Balm is a lovely addition to the luxury green beauty market. The quality of ingredients (nearly all organic and local and wild harvested) and the use of skincare savior vitamin C ester, in the form of tetrahexyldecyl ascorbate (used by respected brands like YULI and Odacite) merit the three-figure pricetag. Are there other balms that are just as great? Of course. It’s a matter of scent, pricing and experimentation. And Mahalo’s made it onto my list of recommended balms for you to try — especially if you want something beyond herbal that’s subtly sweet and smartly formulated. Have you tried anything from Mahalo? What face balms do you like? What textures do you prefer in face balms? Tell me in the comments!